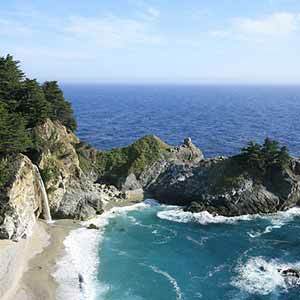 One of the region’s best parks, Julia Pfeiffer Burns epitomizes the Big Sur experience. 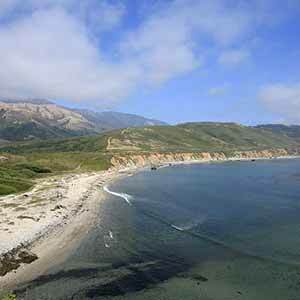 The park is located on the rugged coastline and is reached by Highway One, which is carved into the steep hills high above the ocean. 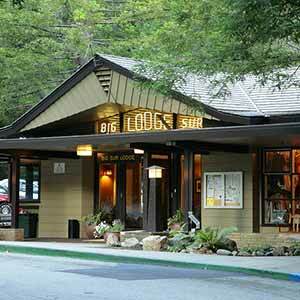 The park has two parts. 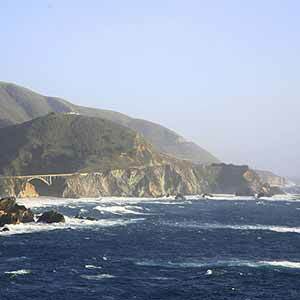 To the south is the main parking lot with the 5-mile-long Ewoldsen Trail, a picnic area, a nice environmental (undeveloped) campground, and Big Sur’s most popular attraction, McWay Falls, reached by a short trail. 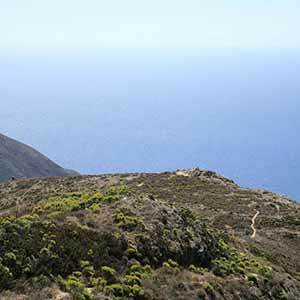 To the north, hidden at an unmarked bend in the road, is the 5-mile-long Tan Oak Trail and the popular short trail to Partington Cove. 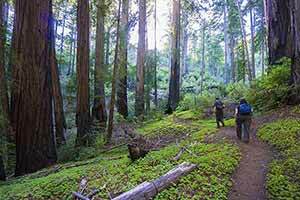 Other than the small campground and picnic area the park has no facilities, in stark contrast to the heavily-developed Pfeiffer Big Sur State Park a half-hour to the north. 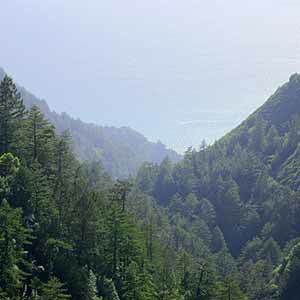 A steep climb through a lush redwood canyon to a great coastal view, this is the best day hike in Big Sur. Another steep climb. 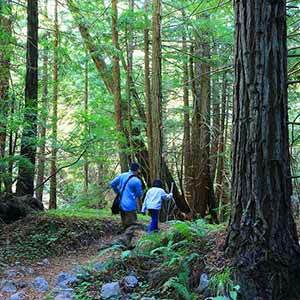 The woods aren’t quite as nice as the Ewoldsen Trail and you have to close the loop with a mile-long walk on the shoulder of Highway One. But on the way down the fire road offers some astounding views. 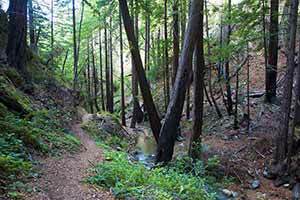 The Ventana Wild website has user-submitted trail reports for the Ewoldsen Trail and the Tan Bark Trail.